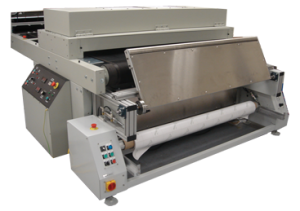 ATC introduces the latest advance in coating machine technology. 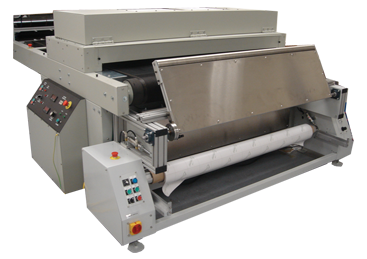 The XL machines are designed for professional, heavy duty operation, specifically for the flatbed printer market. 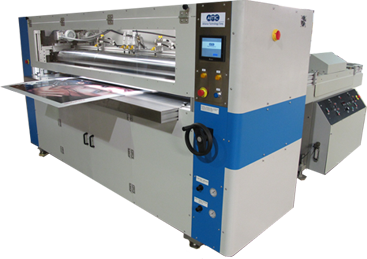 Available in both 60”/1.6m and 80”/2.0m effective coating widths, the units provide high speed, dry to dry protective lamination for digital ink-jet images printed with various types of inks including UV, solvent, and water-based. The units coat both flexible and rigid substrates up to 3”/ 75mm thickness. They feature super sized rollers to assure precise, full width, edge to edge coating with a speed range from 30 ft /9m to 110 ft /34m per minute. All three rollers are motorized for precise coating control. Coating thickness is adjustable from 0.3 to 0.8 mil. The built in triple liquid delivery system handles two liquids and a cleaning fluid. All three liquids are filtered. The liquid metering roller and bottom roller scraper are pneumatically controlled.